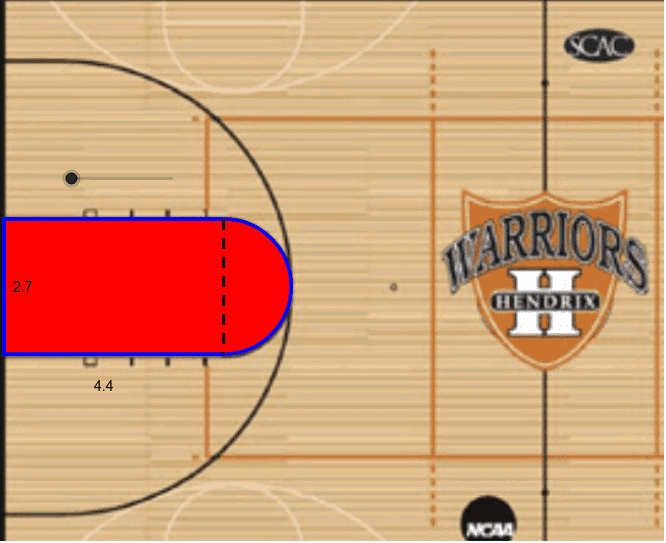 The image below is of a local basketball teams court. The basketball key is in red and its perimeter is in blue. Assuming the units are in yards answer the questions below. 1) Describe any observations you make when moving the slider above the key. 2) How many square feet of paint were used to paint the red area (the key)? 2) How many inches of tape are needed to wrap around the key (the blue)?